Some of the questions below aren’t included in the video, and there are some that haven’t been written down, but were used in the video. During the video, you can’t hear the questions being asked, only the answers. [ ] How long have you been with the department? [ ] What is your position? [ ] Are you an on call firefighter or full timer? [ ] What do you normally get called to? [ ] What is the latest incident you’ve been called to? [ ] Do you enjoy being part of the department? [ ] What requirements are needed by new recruits? The two image below shows some of the pre-production process that I went though. 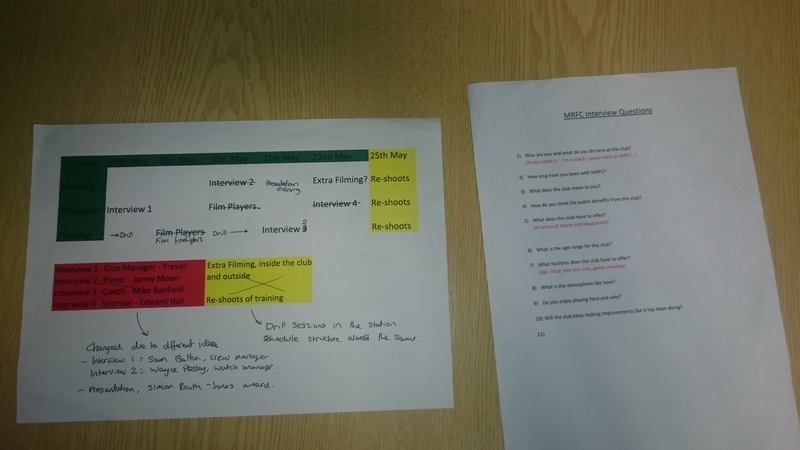 the Question sheet shows what I was planning to as at the Marlborough Rugby club NOT the Fire Station, the schedule was also made for the Rugby club, however it for the Fire Station swell, but changed a few of the time and interviews. It was easier for me, during filming, to be abel to look at the original schedule so I could see when to plan things and how they were already planned. 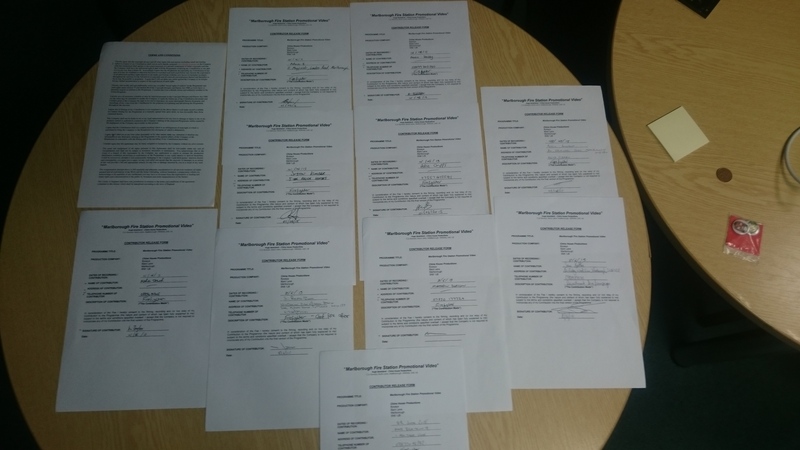 Below are the release forms that have been signed by everyone in the video. 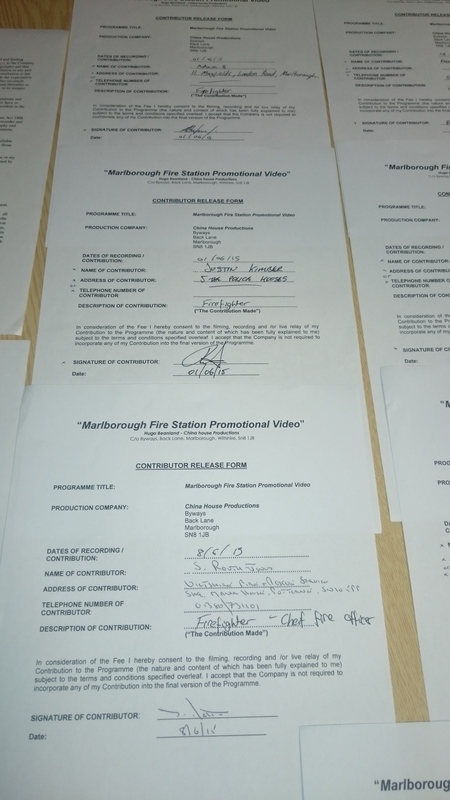 A copy of these forms have also been sent to the PR and Media Manager for the Wiltshire Service, Louise Knox, and they have also been sent to the Chief Fire Warden/ Officer, Simon Routh-Jones, and his PA and PR and Media .